With careful handling, MicroHoles material can be used repeatedly. Custom cut vinyl patterns like HexHoles is $9.95 per sheet (7.5"x9"). When ordering HexHoles, please specify the size of the hex. The smallest size available is approximately .280”. There is no limit on how large they can be. HexHoles is not well suited for removal without destroying the masking. It is more of a one-time use item. These items are not stencils. Rather, they are adhesive backed vinyl products. Typical Shipping Costs for orders totaling under 6 ounces. 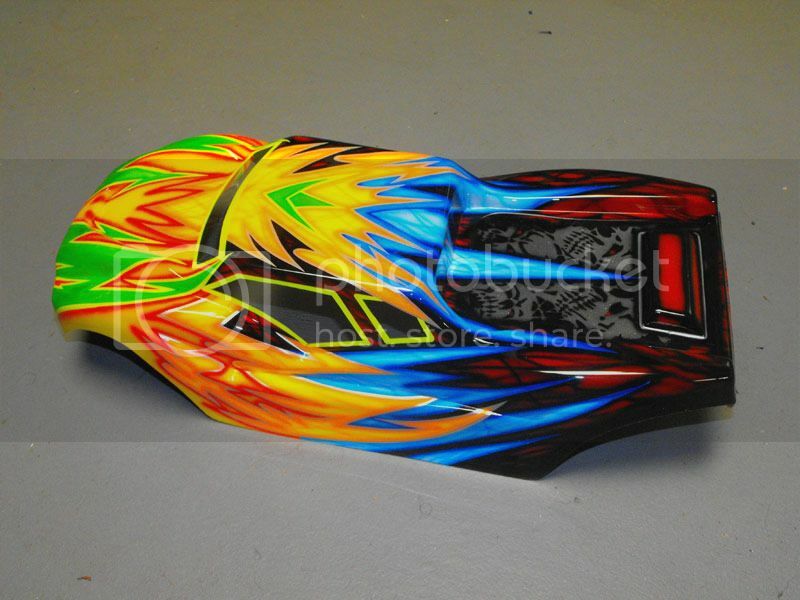 how much for this paint scheme on a jconcepts silencer body for mugen mbx7... i dont have the body, will need it included in price and how long will it take? Man those paint jobs are AWESOME!!!! How much to paint a 1/8th body? I am interested in having you paint a 1/16 scale proline slipstream body for me. 2 color. Red and black. I wohld love to see some of your 2 tone work if you have some. Could you send some pics to [email protected] also what does your prices start at? do you have a link to your paintwork mate or one to the pic in your avtar? it looks awesome!! Please email me at [email protected] for paint pricing, ordering and questions. All times are GMT -7. It is currently 11:14 PM.